Who needs to wear makeup when you have an Oscar? 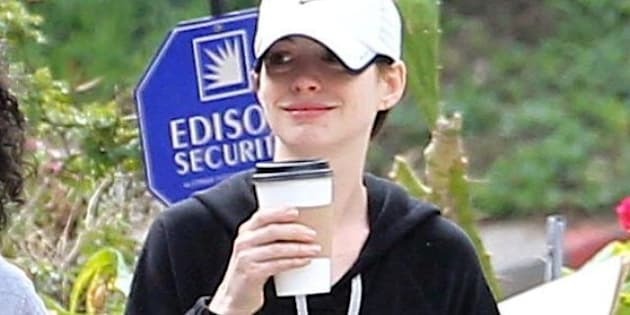 Anne Hathaway showed off her gorgeous skin without a trace of makeup while out on a coffee run on March 18 in California. It's a far different look from the glamorous woman we're used to seeing on the red carpet. And even though the 30-year-old looks happy to be on a break from movie sets, we can't wait for the actress to get herself into a gown. (Just as long as she doesn't have a wardrobe snafu like she did at the Academy Awards).